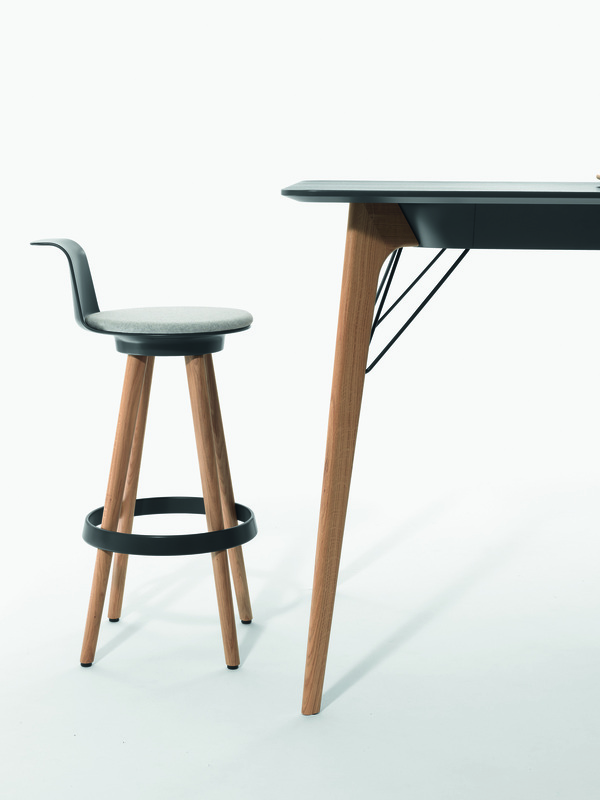 Bene is a leading international specialist in the design and furnishing of inspiring office and working environments. Bene defines the office as a living space and its concepts, products and services turn this philosophy into reality. It combines a tradition of quality stretching back 225 years with innovation and award-winning design. The corporate group is listed on the Vienna Stock Exchange, has its head office and production facilities in Waidhofen an der Ybbs (A) and employs over 1,000 people at more than 80 locations in 37 countries. As a full-service provider, Bene implements forwardlooking office concepts, and thereby contributes to its customers’ corporate success. 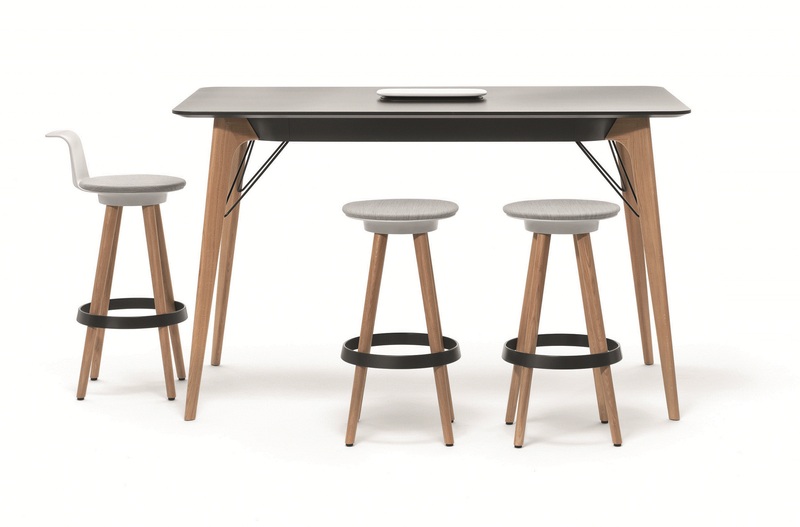 TIMBA Table and TIMBA Stool bring fresh pep into the office, offering the best conditions for creative cooperation and dynamic teamwork. 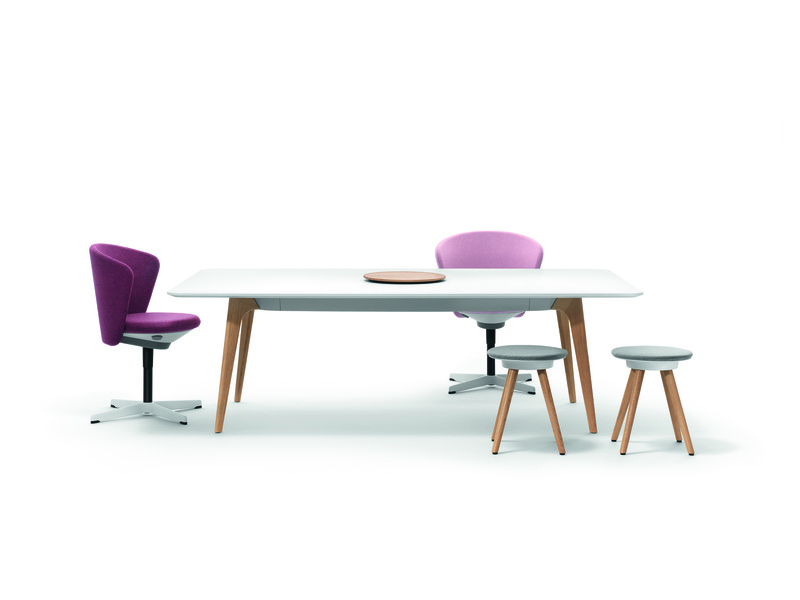 TIMBA, the new furniture line from Bene, was developed especially to create a pivotal point of focus for teams in modern office landscapes. Wood is the defining design feature of TIMBA. 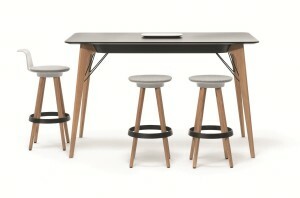 The oak legs of the table and stools convey stability and warmth. The high-quality natural material wood creates a cosy atmosphere and forms a powerful counterpoint to the cool asceticism of conventional modular furniture.